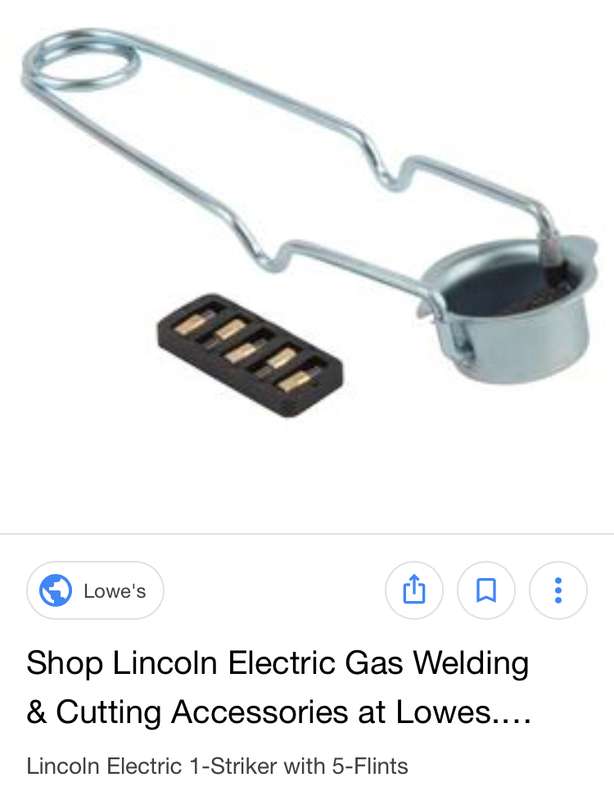 Someone suggested using a Safety Spark Bunsen Burner/Laboratory Lighter with 5 Flints to start tinder for an emergency fire. I don't currently own one so can't try it. I have used them to light flammable gases and they are great for that. Logistically I am not sure they would work well to light tinder to start a wood fire. Can anyone see a way to make it work? Yes. It throws out some decent sparks. The device works by scraping a tiny piece of flint over steel. In that regard, this should be no different than any other flint & steel fire lighting, with the exception of the awkward cup. See later section for the evidence of this device being used to start wood fires. Given the results of my tests, I would say no. It is possible, given perfect tinder, but even then it is unwieldy. You could remove the small piece of flint from the moving arm-piece and try to strike it differently, but the flint is so tiny that would also be awkward. I see no reason to use this unwieldy device for something it was not designed for. If your concern is being prepared, just spend $5 for a ferro rod and have that on hand. Its sparks should be easier to use, and they are much better sparks. But I just mean, like, what if zombie apocalypse comes and this is all I have? If, for some reason, you actually are forced into a situation where you have to use this, and only this, then put most of your effort into processing some really good tinder. If you're truly concerned, buy a ferrocerium rod (aka: ferro rod, flint rod) now and duct-tape it to the side of that thing. When the apocalypse happens and that device is all you have, remove the ferro rod you've duct-taped to the side of it and use that instead. Ok fine, but still, out of curiosity, let's try anyway. So I went ahead and bought one to try this out. It was a great excuse to say I need to go light a fire. As I suspected, this was fairly easy with char cloth. Initially it seemed to not be working when I held the char cloth over the cup of the device, and its failure surprised me. I think that the sparks were not hot enough to create an ember by the time they were exiting the cup, despite being hot enough to see. After that initial failure, I tried keeping the char cloth inside the cup, as close to the origination point of the sparks as I could. As expected, the char cloth then caught the sparks and held an ember without too much difficulty. The worst part is keeping the char cloth in place, as the striker keeps pushing it out of the way and sometimes making it fall out of the cup. It also rips the char cloth up, so you need to be careful of that. Once the char cloth had an ember, the rest was fire starting 101: the char cloth was used to light grass and wood shavings. Apparently I forgot to take close up pictures before I did this first test. Sorry. But here is a video of it. To be completely true to the context of your question, I thought it best to do a test which used nothing but naturally sourced materials, with the exception of the device itself obviously. I had to dry out some materials to use for this. 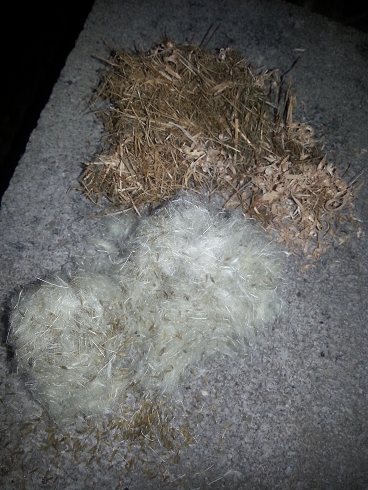 I manually tumble-dried some dandelion seed fluff in a clear plastic trash bag by hand. I had some half-decent quality dried grass and wood shavings, and I dehydrated it for a few minutes so it was better for fire starting. Dandelion seed fluff takes a spark fairly easily and it often flares up quickly, but it dies out very fast. Below is a link to a video of the test, but full disclosure! : 1) The fire that started did not catch fully and went out after a few seconds. 2) The video makes it look super easy, but I cut out multiple unsuccessful attempts before it finally flared up into a tiny fire and a couple unsuccessful attempts to re-light the kindling after the fire died out. Despite the fire not successfully lighting fully, a flame was achieved which is definitely more than enough to start a fire, so I am calling the test itself a success. Yes, it is not easy, but you can definitely light a wood fire with a bunsen burner flint-spark lighter using good quality all natural tinder and kindling. To then go the next step and use that lit tinder to start a fire, you would do it the traditional way, no matter whether you used charcloth or some other tinder. So anything past initially sparking your tinder is answered by all the other "How to start a fire?" questions. Not the answer you're looking for? Browse other questions tagged fire-starting improvised-gear or ask your own question.